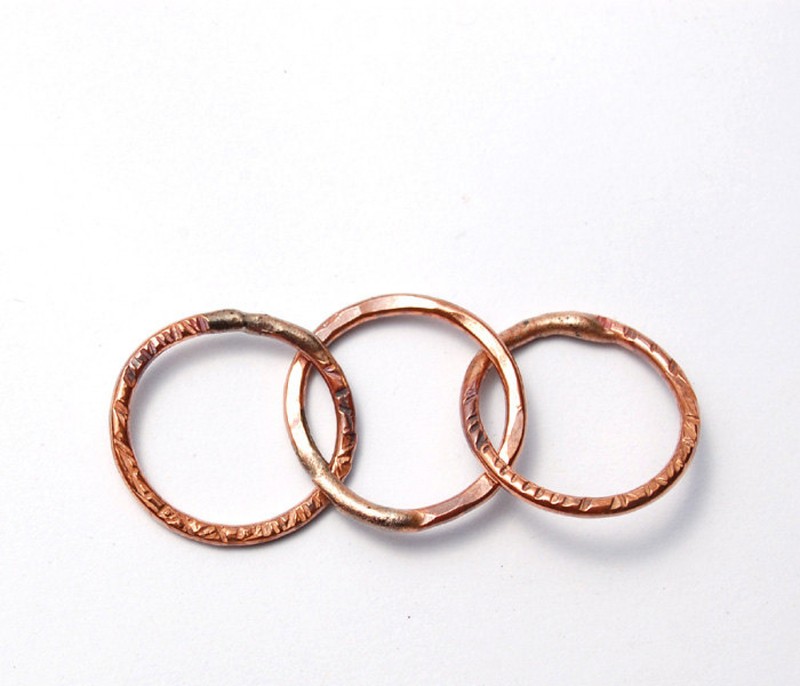 These three hand hammered, soldered pure copper links are about 46 mm long by 18 mm wide (1 1/2" x 1/2") and have gone for a tumble to make them shinny and durable! These links are made when ordered and may vary slightly from photo. 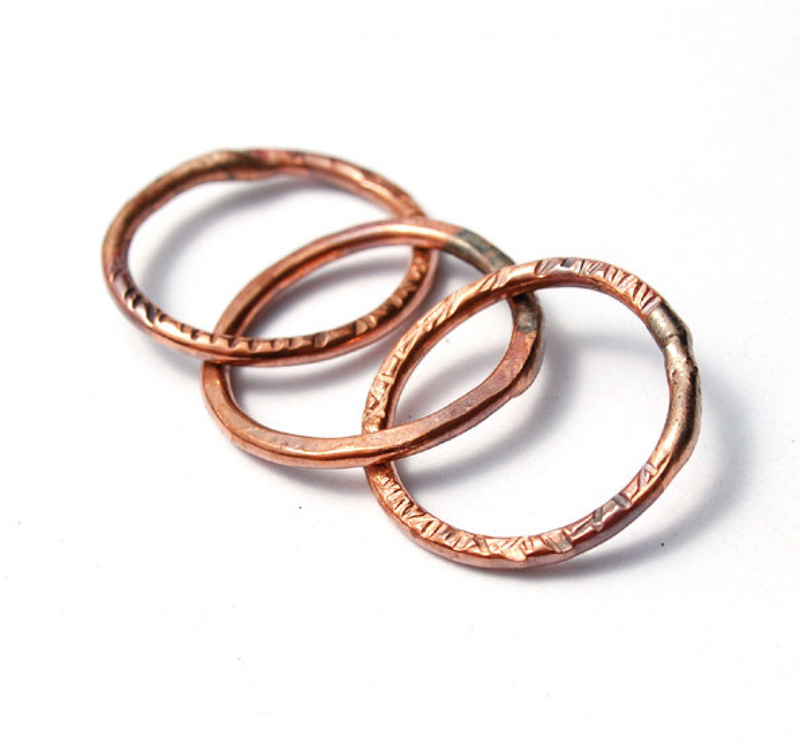 This listing is for the three 16 gauge linked rings shown and are ready to ship! May they make your project sing! Shipping is $2.50 for the first item and .50 cents for each additional item.